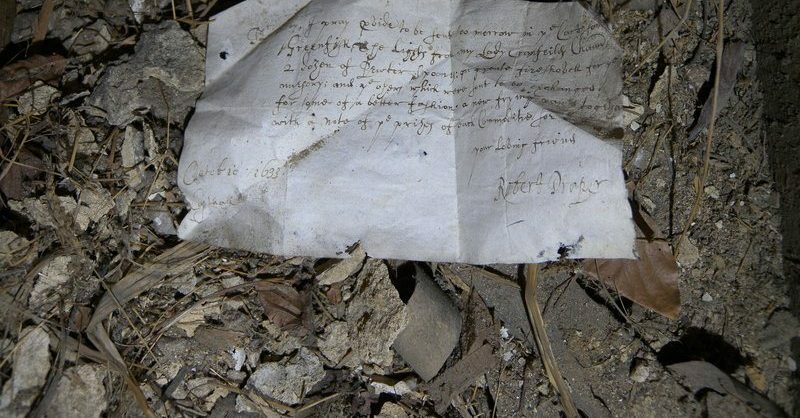 Archaeologists who are helping restore a historic country home in Kent, England have discovered a 17th-century shopping list hidden under its floorboards. Written in 1633, the note was uncovered during a multimillion dollar renovation of the famed Knole House. Constructed in the late 15th century and surrounded by 1,000 acres of forest, it is one of England’s largest houses. Written by one Robert Draper to a Mr. Bilby, the shopping list includes pewter spoons, a frying pan, and “greenfish,” which is now known as unsalted cod. It also asks Mr. Bilby to send a “fireshovel” and “lights” to Copt Hall, which is 36 miles away on the other side of London.